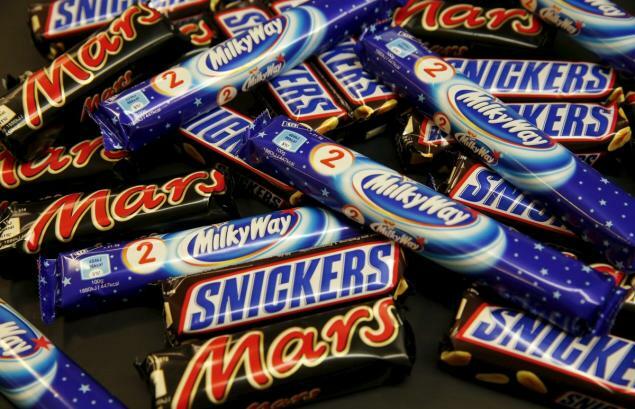 Mars Inc. has announced it is recalling Mars and Snickers bars from 55 countries, according to the AP news agency. The move comes after bits of plastic were found in a product. Mars initially issued a recall in Germany, but it is believed to have spread to the UK, France, Belgium, Italy and Spain. Mars Netherlands spokesman Roel Govers is quoted by AP as saying that the recall affects 55 countries. Other products affected include Milky Way Minis and Miniatures and certain kinds of boxes of Celebrations. The products involved have best before dates from June 19, 2016 to January 8, 2017. Mars has not said how many bars are affected or how much it will cost it. A full list of products affected can be found on the company’s website, www.mars.de, but that address appeared not to be responding on February 23.